Manufactured by Gummifabrikken, BlackDiamond squeegee rubber is made of only the highest quality of raw materials. With our knowledge of mixing monomers to create the perfect rubber that can hold up against almost anything. The perfect, razor sharp square edge of the BlackDiamond RoundTop Squeegee has the ability to pull water or chemical solutions across glass with ease, leaving behind a beautiful and steak free surface every time. 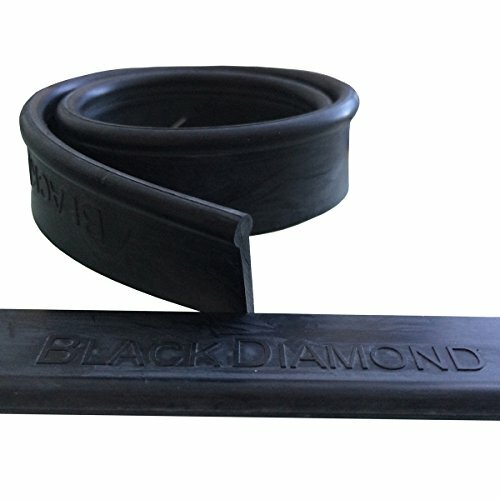 Even better yet, our BlackDiamond RoundTop Squeegee rubber is made to fit any standard handle and can be ordered in several different sizes depending on your needs.